My niece went to the Maasai village after she did the climb of Mt Kilimanjaro. 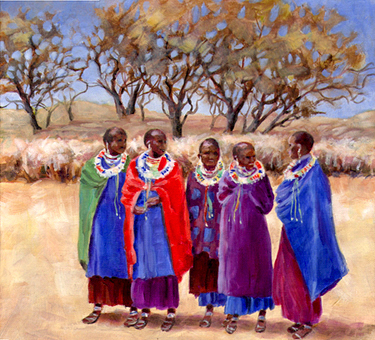 I was drawn to the contrast of the colorful clothing against the arid neutrals of the vegetation. 12 x 12. Sold.